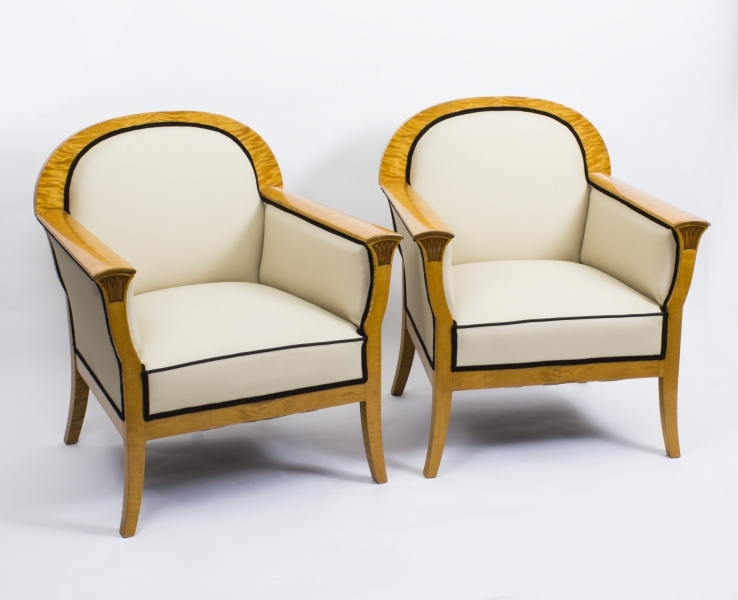 This is a very fine pair of Swedish Art Deco armchairs featuring solid birchwood frames and cream leather upholstery and which date from around 1920. 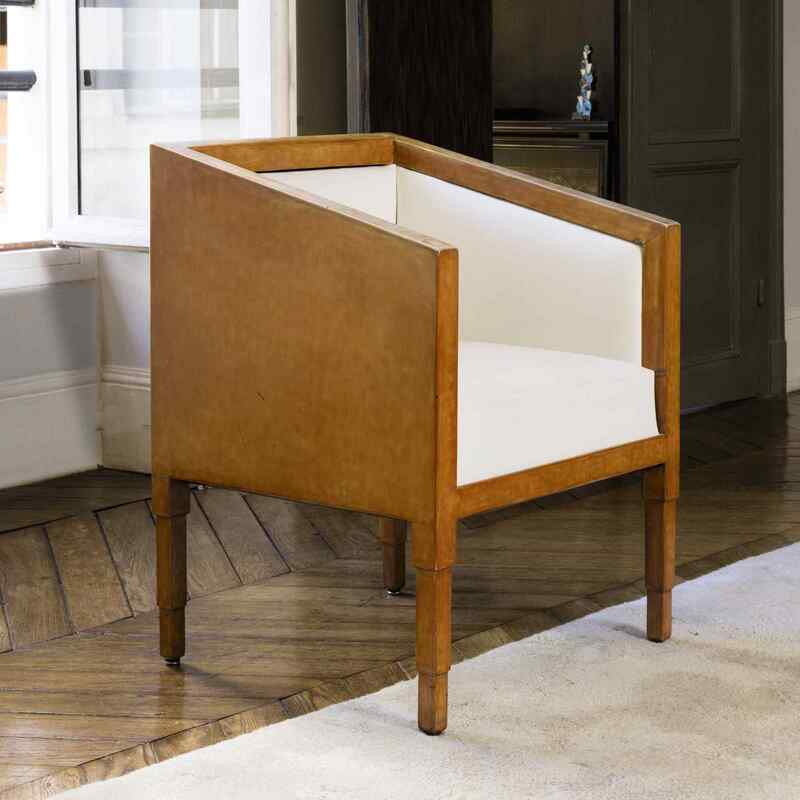 Bound to be of interest to interior designers and, of course, Art deco lovers the world over, this set of two lovely chairs combines unmistakeable Scandanvian style and build quality with typical Art Deco design principles. 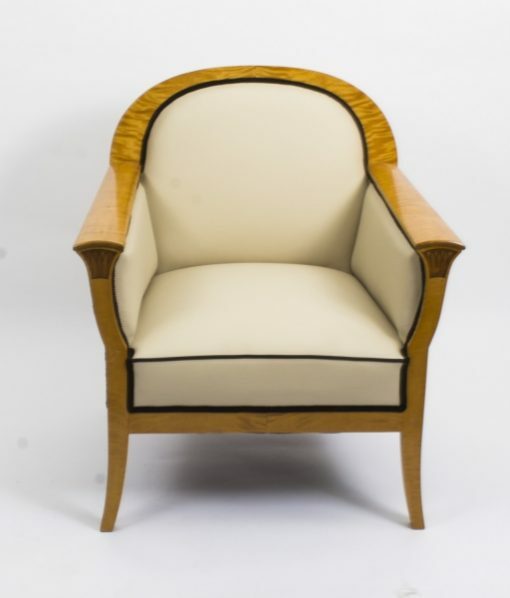 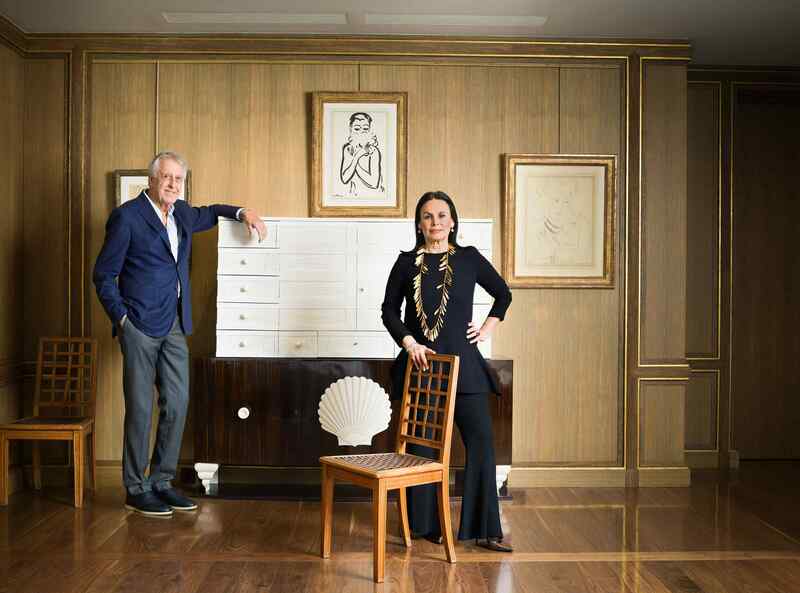 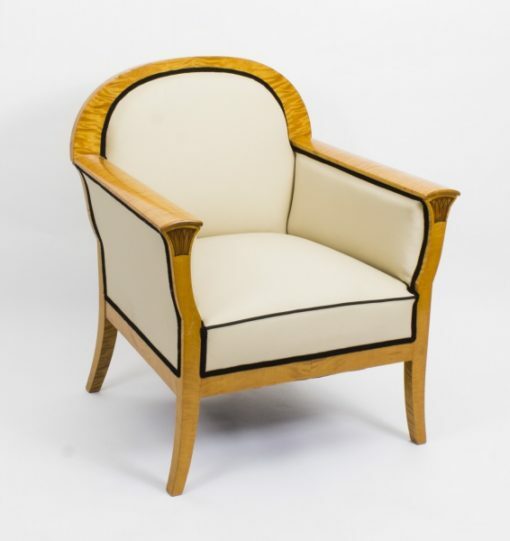 The armchairs have been constructed with sturdy solid birch wood frames and have been decorated with tasteful ebony, walnut and boxwood inlays. These Art Deco Chairs are offered for sale in excellent condition, having been carefully and lovingly restored in our own workshops by our own hand-picked craftsmen and restorers. 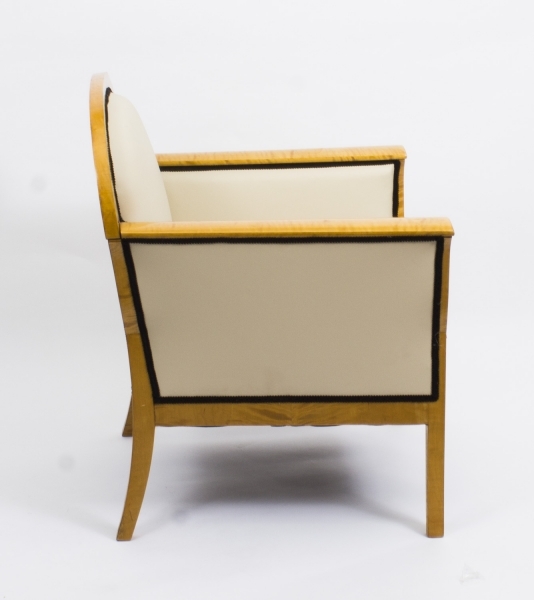 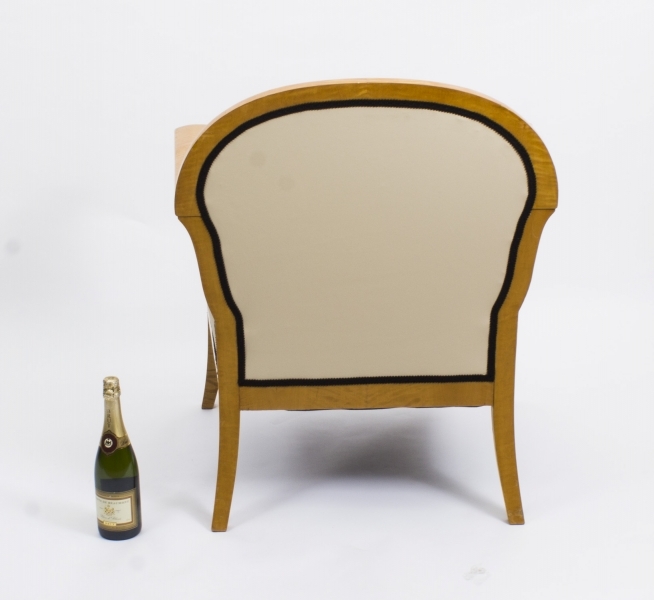 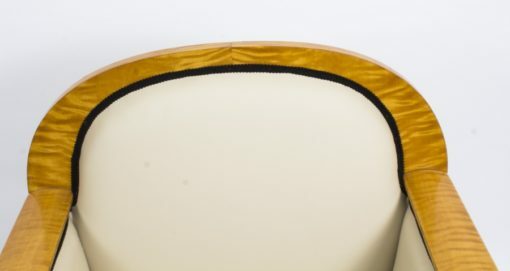 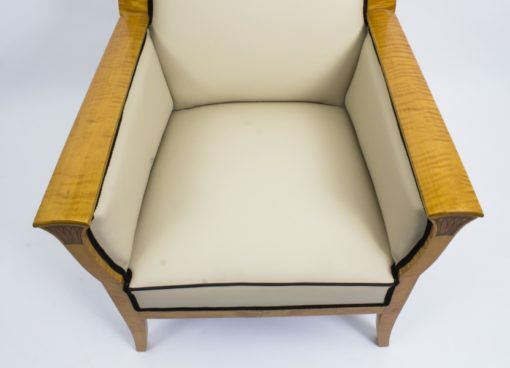 The chairs have also bee re-upholstered with luxurious cream leather which is set off with a black leather piping. 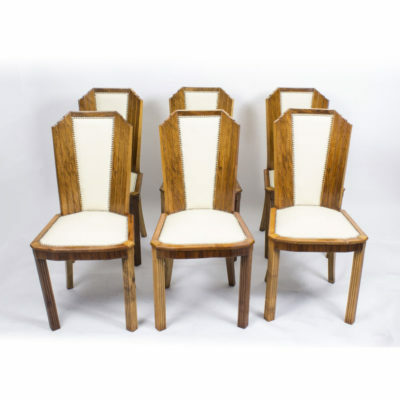 The chairs measure as follows: 87cm high x 78cm wide and 68cm deep which equates to: 2 ft, 10 in high x 2 ft, 7 in wide x 2 ft, 3 in deep. 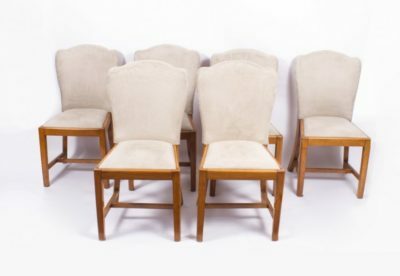 Our team of expert packers and shippers can have these chairs safely packed and on their way to you in almost any worldwide destination. Please request a shipping quotation before placing your order. 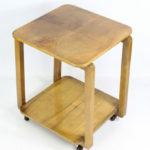 Shipping to mainland UK customers will be free of charge. 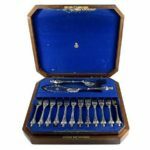 To find out more about this item please feel free to call our experts on +44 20 8809 9605 and ask any questions that you may have. 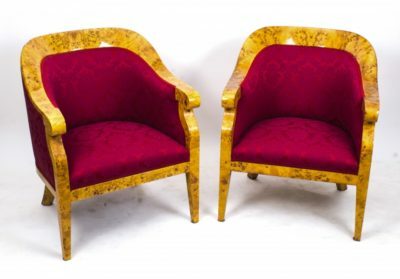 When calling please quote item reference: 08042. 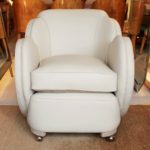 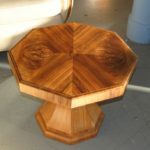 Yiou are welcome to visit our north London showroom and view this item, along with many more that we currently have in stock. 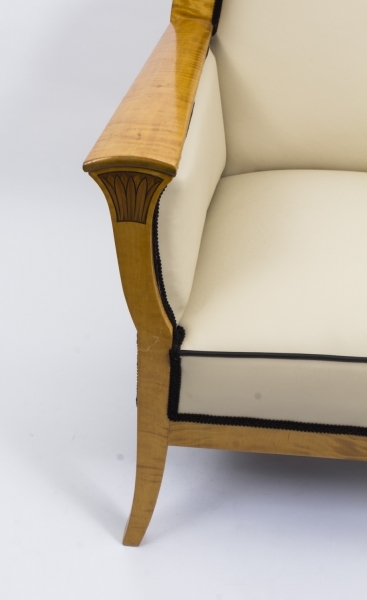 If making a long journey, please telephone or email us to ensure that the item you want hasn’t already been sold. 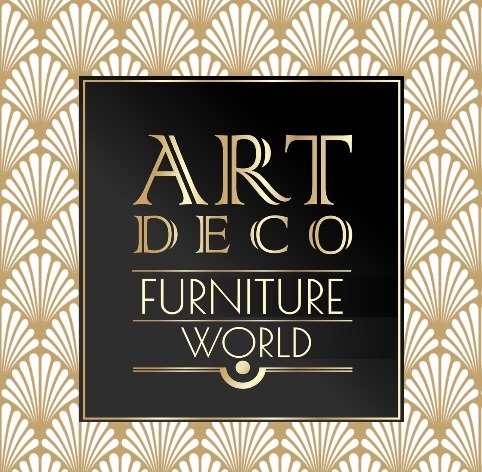 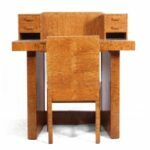 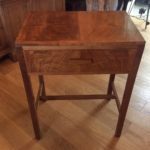 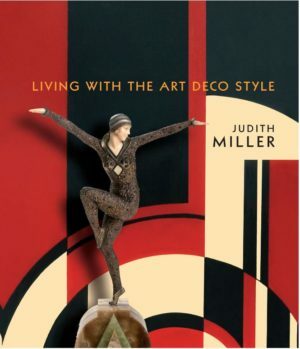 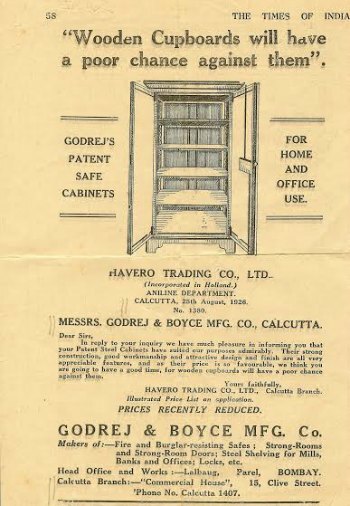 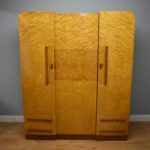 We have many more Art Deco furniture items in stock and the stock changes regularly so keep checking back to see more – don’t miss out on the item you are really looking for, it may come into stock tomorrow!